The Hashemite Kingdom of Jordan (المملكة الأردنّيّة الهاشميّة), an Arab country in Southwest Asia, is spanning the southern part of the Rub Al Kali down to the Gulf of Aqaba. A large part of Jordan is covered by deserts (like the Wadi Rum). 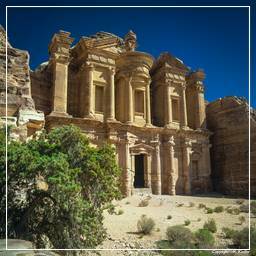 Jordan has seen numerous civilizations, including the Nabatean civilization which left rich archaeological remains at Petra. 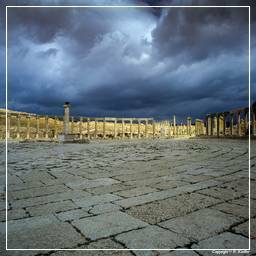 The Nabateans constructed it as their capital city around 100 BC. The site remained unknown until 1812, when it was rediscovered by Johann Ludwig Burckhardt.